A study conducted by the International Rice Research Institute (IRRI) found that, on average, farmers lose 37% of their rice yield to pests and diseases, and that these losses can range between 24% and 41% depending on the production situation. Although researchers have a good idea of what pests and diseases affect rice, they do not always have a clear picture of where individual or groups of pests and diseases occur and how much effect they have on rice yield. The Philippine Rice Information System (PRISM) is a rice monitoring system to enhance rice production in the Philippines under the Department of Agriculture’s (DA) Food Staples Sufficiency Program. 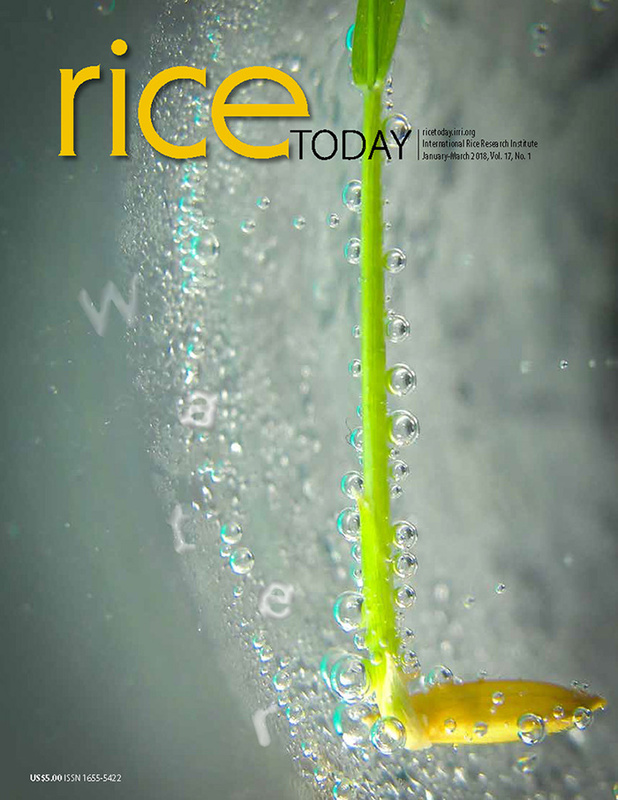 The 4-year project provides accurate and timely information on Philippine rice production. This information comes in the form of maps, statistics, and reports, and covers rice production area, crop health, crop losses due to natural calamities, and assessment of and extent of pest damage. These are derived from data collected through remote-sensing technology, crop modeling, and field and farmer surveys and are available through a web-based interface. The Crop Health Component of PRISM conducts activities to provide information on pest risks and pest management strategies. Under this component, the Philippine Rice Research Institute (PhilRice) and IRRI have been organizing national and regional training workshops to build the capacity of partners in the identification of pest injuries and use of the survey procedure. Recently, PRISM held the National Training and Assessment on Crop Health for its regional partners from the DA and local government units. Approximately 100 participants from 16 regions in the Philippines attended the workshop. They were trained in conducting surveys to assess injuries caused by pests and diseases, characterize production situation, and quantify yield in representative farmers’ fields using a standardized procedure developed by IRRI. In addition, the training activity covered conducting effective training programs on crop health, management of the most common pests and diseases in the Philippines, basic principles in data presentation, and identification of pest injuries. The training workshop also assessed the progress of activities in the regions and discussed plans for 2016. The workshop was jointly organized by the Philippine Rice Research Institute, IRRI, and the DA Regional Field Office in Region VI. It was held at Diversion 21 Hotel in Iloilo City on 19-22 October.